Hitchens Cottage01263 715779work01603 870304fax Self-cateringFormerly a large grain barn and stables, this skilfully converted property features traditional beams, tasteful decoration and is on one level for your convenience. The property is situated within easy reach of the coast offering many beautiful cliff-top walks. Formerly a large grain barn and stables, this skilfully converted property features traditional beams, tasteful decoration and is on one level for your convenience. 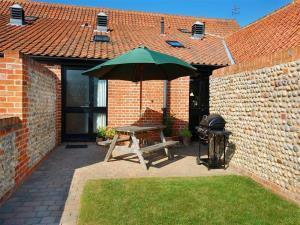 The property is situated within easy reach of the coast offering many beautiful cliff-top walks.